Respect for our customers, who are spending their hard-earned pounds with us. Respect for our staff, who entrust their working life and career aspirations to us. 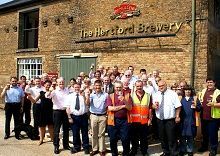 Respect for our tenants and pub operators, who commit to business relationships with us. Respect for our shareholders who invest, through good and bad times. The challenge, of course, is balancing the expectations of all the above. Customer expectations have changed dramatically throughout our history. When we were founded, less than 5% of the population had the right to vote in general elections, but now every customer has the opportunity to tell us, through numerous feedback processes what they expect and whether their expectations have been met. We are, and have always been, customer focused and as our customers’ needs have evolved so have we. This has allowed us to have survived, and indeed thrived, for nearly two centuries by listening to our customers and progressing with the times while remaining true to our values of providing passionate people and consistent quality, for the long term, at all times. 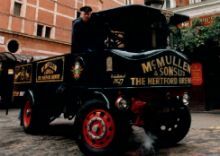 McMullen's was founded in 1827 by Peter McMullen. Our British brewed Real Ale acts as the ‘flag’ for our business. 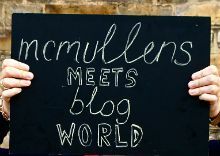 Meet our head office team and learn about what makes them love working for McMullens.